British Car Auctions (BCA) is making its Classic and Vintage car sales more accessible to sellers and buyers by introducing a new regional sales programme. ‘Classics from BCA’ sales will be held in tandem with Top Car & Executive sales at a number of BCA’s auction centres around the UK, with details of classics on offer available online via the BCA website. At the same time, BCA is also introducing reduced selling fees to make it easier than ever to sell a classic car. The ‘Classics from BCA’ website will be regularly updated with the latest vehicles entered for sale and Classics fanatics can register to receive details about forthcoming sales. The website will also be the first port of call for sellers, who can download an entry form and find details on how to enter a vehicle for sale. “Our aim is to make the service more flexible and efficient for Classics owners wishing to sell their car and to offer classic vehicles more regularly around the country”, confirmed Simon Henstock. 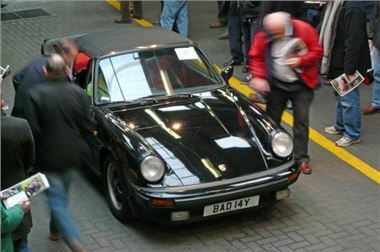 Visit www.british-car-auctions.co.uk to find out more details of times and vehicles for sale.